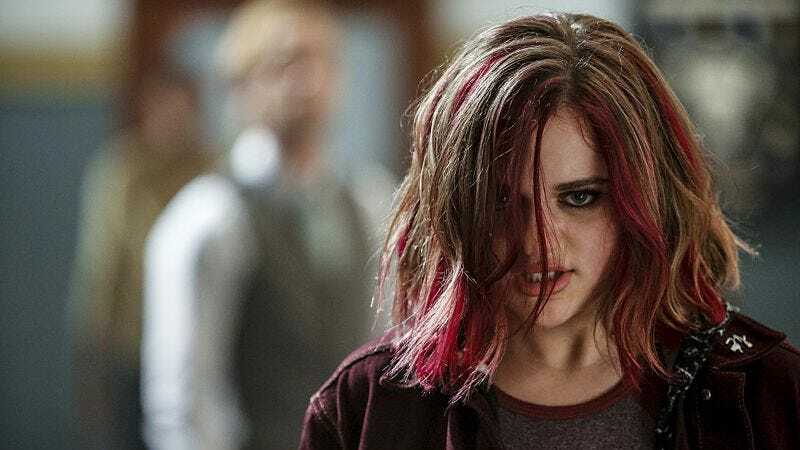 “Magenta” isn’t a perfect episode of The Flash by any means, but it does steer the season out of its early skid by setting aside convoluted timeline talk, putting the focus squarely on the characters we’ve come to love, and injecting a welcome dose of levity into the proceedings. Bringing Harry Wells back into the fold certainly doesn’t hurt, as Tom Cavanagh’s absence was keenly felt in this season’s first two episodes. 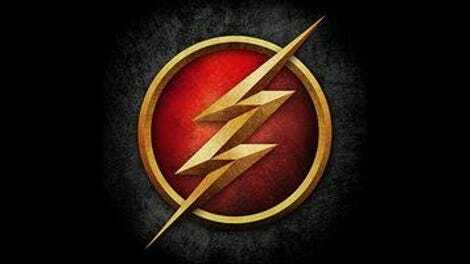 The team is back in place (it’s probably safe to assume some reasonable excuse for Harry and Jesse sticking around Earth-1 will arise sooner than later) and more or less back to normal (Cisco appears to have emerged from his funk), and these are good signs that The Flash is back on track. Harry’s return makes sense, as there was every reason to believe Jesse’s exposure to dark matter toward the end of last season would result in her transformation into speedster Jesse Quick. At the time, there was equally good reason to think Wally would have gained his own speed powers due to the same incident, but that hasn’t happened. Dark matter moves in mysterious ways, a fact that doesn’t sit well with young Wally. When Jesse tells him she discovered her own powers when she was nearly hit by a car, Wally does the only logical thing and steps in front of a truck. Barry chews him out for this stunt, but honestly, it’s no dumber than most of Barry’s recent decisions, so who is he to talk? We know what Barry should know, which is that Wally will end up as Kid Flash if Alchemy continues on his path of awakening the metahumans from the Flashpoint timeline. The latest of these is Magenta, a latent personality within orphan Frankie Kane. Magenta is almost an anagram for Magneto, and her power is more or less the same: moving metal with her mind. She uses this power against her abusive foster father, first by flinging a street lamp at him, and then upping the ante by trying to take him out with a tanker ship. Since Frankie blacks out every time Magenta takes over, she presents a different kind of dilemma for Team Flash. She’s more abused child than super-criminal, and to Barry’s credit (given that all the Flashpoint villains are his fault), he is able to pep-talk the good side of her back to the surface. It’s an hour heavy with pep-talks, given the parallel tracks of Harry dealing with his suddenly super-powered daughter and Joe trying to keep his frustrated, non-powered son on the right path. From our point-of-view, it’s a foregone conclusion: Jesse is Jesse Quick and sooner or later, Wally will be Kid Flash. Still, Joe doesn’t know that, and he’s not wrong to counsel Wally to develop his genius for engineering as his own means of world-saving. Harry, more flustered than we’re used to seeing him, comes around to the notion that she should use her newfound power for good, and even presents her with her own speedster uniform. Devoting time to these character interactions is a smart move following all the timeline shenanigans, as it helps ground us in the relationships that are essentially intact no matter how badly Barry screwed things up in his travels. The relationship that is still pretty awkward is the one between Barry and Iris, but at least that awkwardness is now front and center. Their first date tonight is a disaster, but that’s because the show is finally trying to answer the question of whether these two belong together for any reason other than “they’re supposed to be together.” When all references to Team Flash are off the table, they sure don’t seem to have much to talk about. But as Barry rightly points out, why should they pretend that’s not a big part of the attraction? I’m still not sure the Flash creative team can make this relationship work, but at least they’re finally asking the right questions. On their second date, Barry whisks Iris out of town to some kind of seaside hot spot. I’m not clear on how far away this place is supposed to be from Central City, but couldn’t he at least have dropped her off downtown on his way back to work? I mean…how is she supposed to get home? The “Not!” joke with Harry Wells? Maybe we didn’t need that three times. Caitlin advises Jesse to take it slowly with her powers, ostensibly speaking as someone with no metahuman abilities of her own. As we saw last week, however, the Caitlin of this revised timeline does have a touch of Killer Frost. How long she’s been this way and what she plans to do about it remains to be seen.